Since it was so gross outside today we did a lot of crafts around my house. 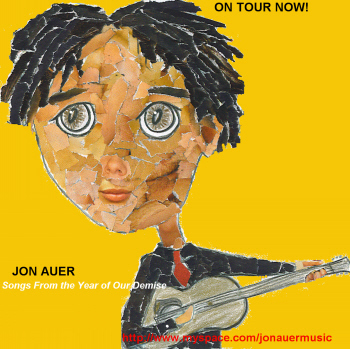 I came up with this silly little tour flyer for Jon. I used celebrity magazines to "paint" with over a silly doodle I made. Jon has not seen it yet so I am curious as to what he will think about having Angelina's lips or Scarlet's nose.